Check out my tutorial on how to create a Frozen photo backdrop and table decor for a kid’s birthday party. Do you remember that I’ve shown you two Frozen birthday parties? Well, one was actually a Marie Antoinette Let Us Eat Cake party but we invited Anna as my daughter loves all the princesses. Then I helped my friend with some of the decor at her daughter’s Elegant Frozen Birthday Party. 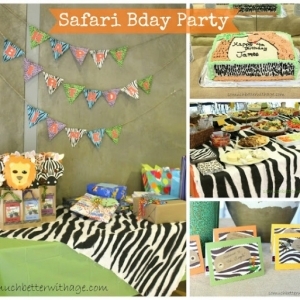 I love throwing birthday parties and making my own decor. 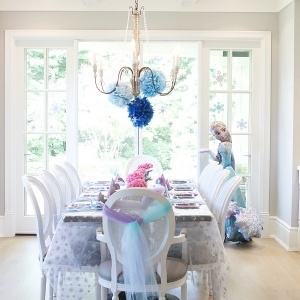 The decor I made from these Frozen parties were dramatic but surprisingly easy to do. 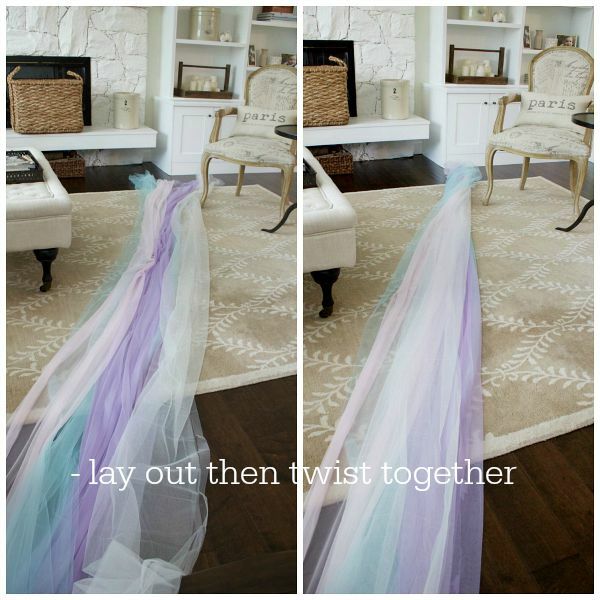 The best part is you can use the tulle over again and there is no sewing involved! Here’s how you can make your own Frozen photo backdrop and table decor. Here’s the party I recently showed you from my bestie’s house. 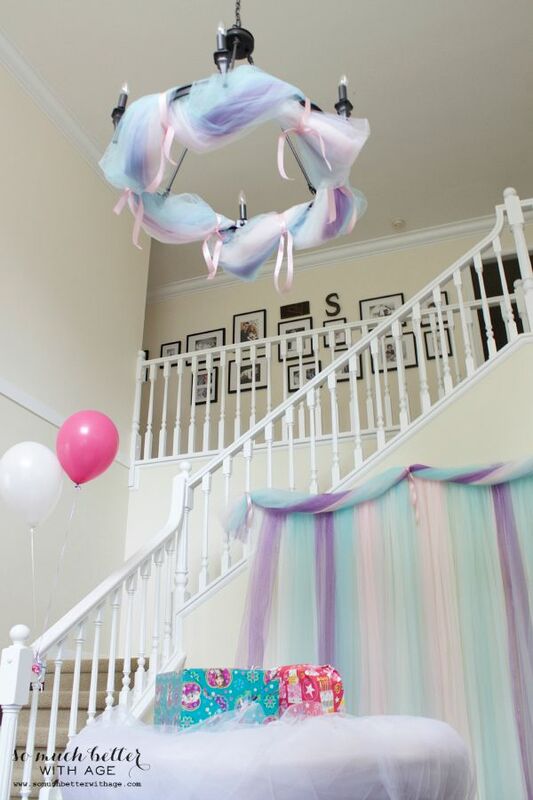 The party was adorable and the decor even went with her gorgeous house. It was the perfect spot for the little girls to have their photos taken with Anna and Elsa. 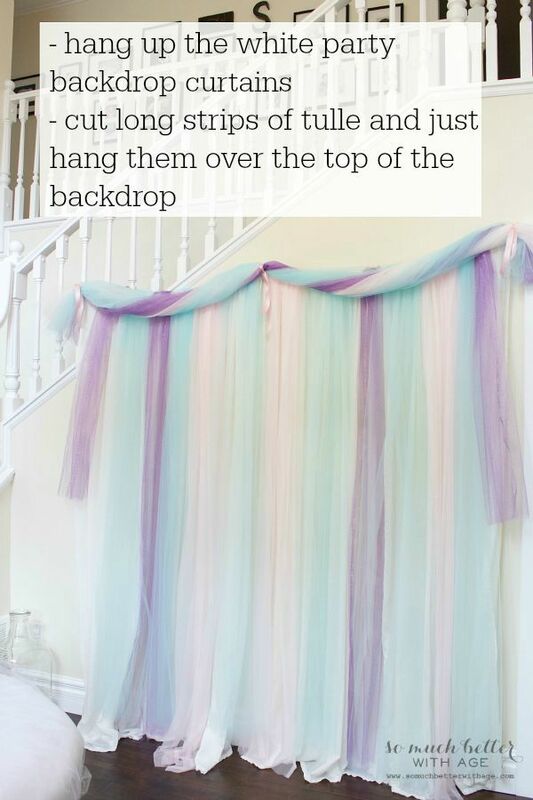 So years ago I made these party curtains for a backdrop and I used them every year. I swear they are the best investment I’ve made in party decor. 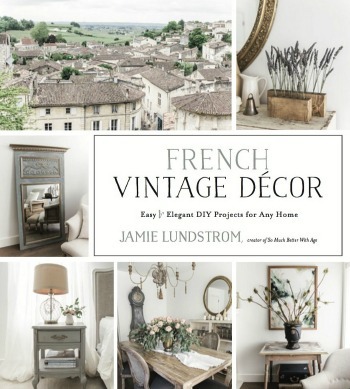 And they were simply made using Ikea curtains and twine. 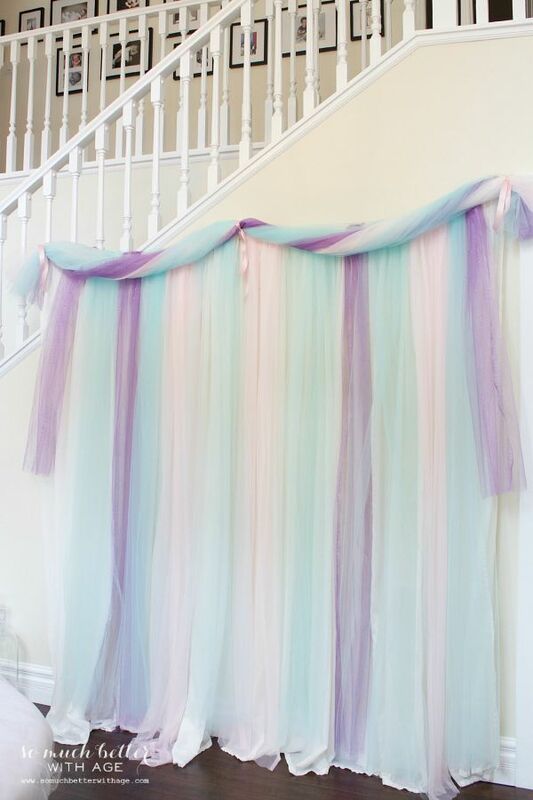 Once you’ve made your white party backdrop curtains, you’ll need to cut long strips of tulle alternating between colors and all you need to do is hang it over the curtains. So easy! 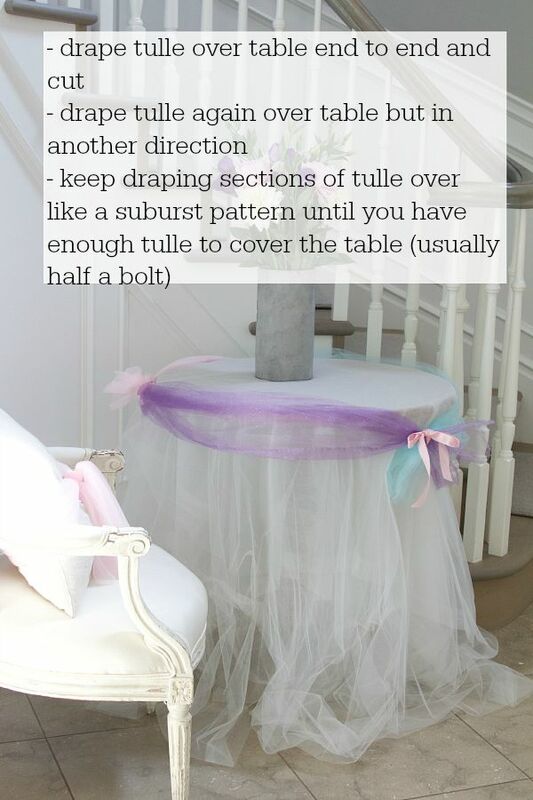 And you can use the tulle over again if you’d like for something else. 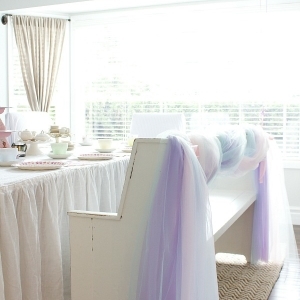 To make the pretty valance, stretch out the tulle as long as it goes and just twist together. That’s it! 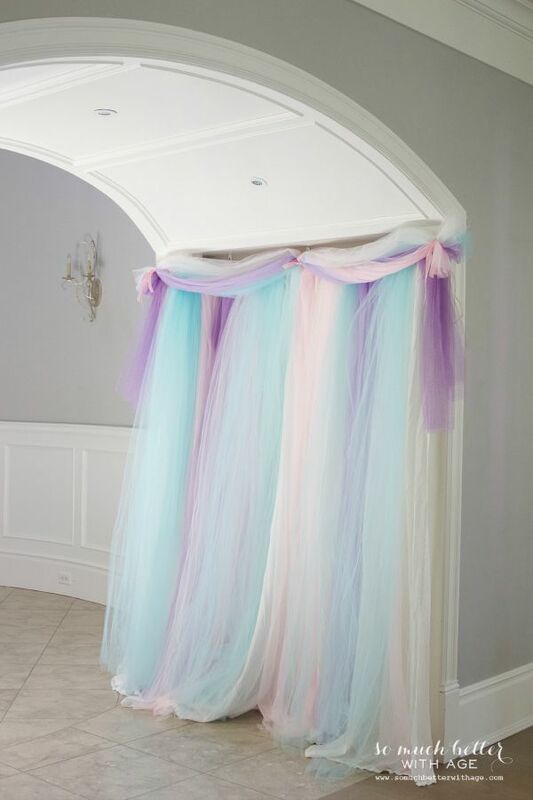 Secure ends together with elastic bands and cover with ribbons. 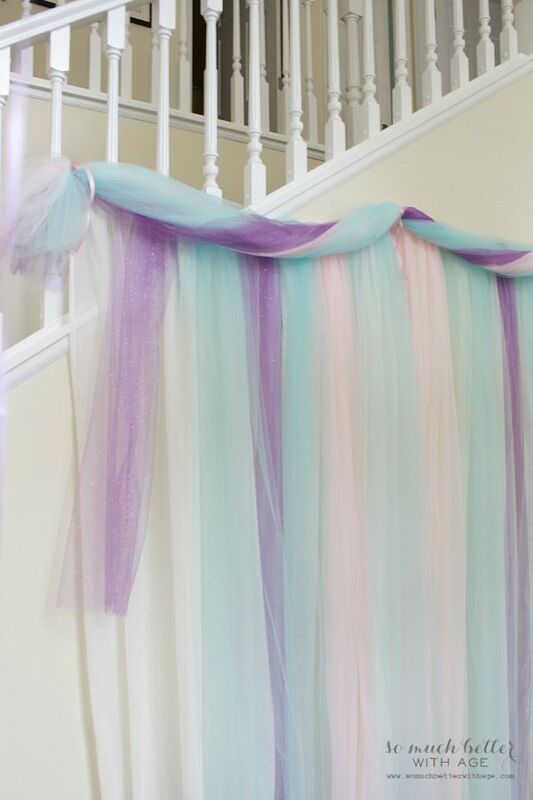 The valance is just hanging by the ribbons on the command strips I used to hang the party backdrop curtains. I made another one to decorate the foyer chandelier. 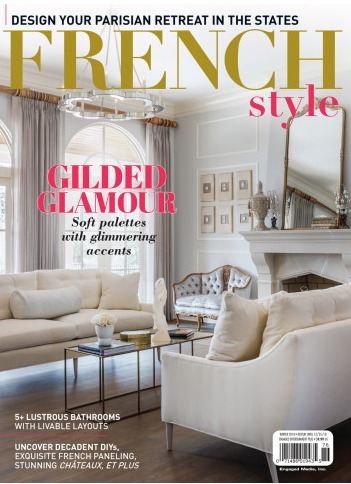 And another one for this bench in my dining room. Some snow was needed for this Frozen party and Olaf was too difficult to make. 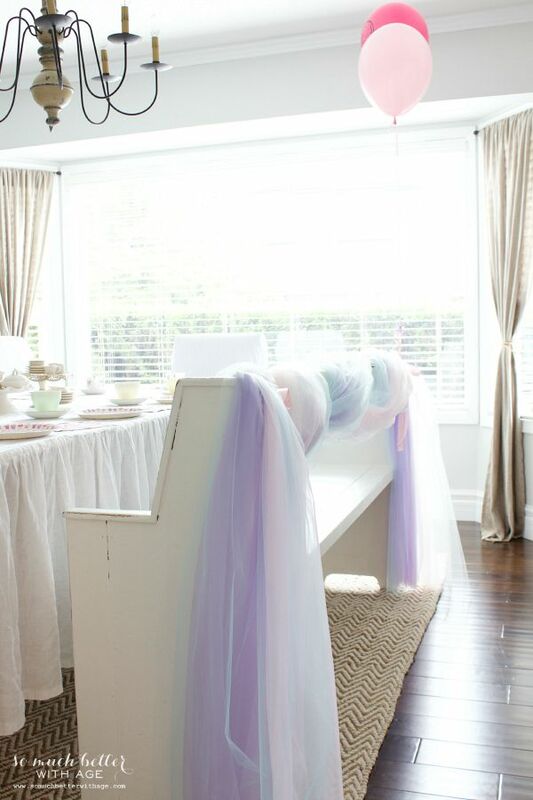 I thought doing something with a bunch of the white tulle over the table would be a neat effect, something like a snowball. 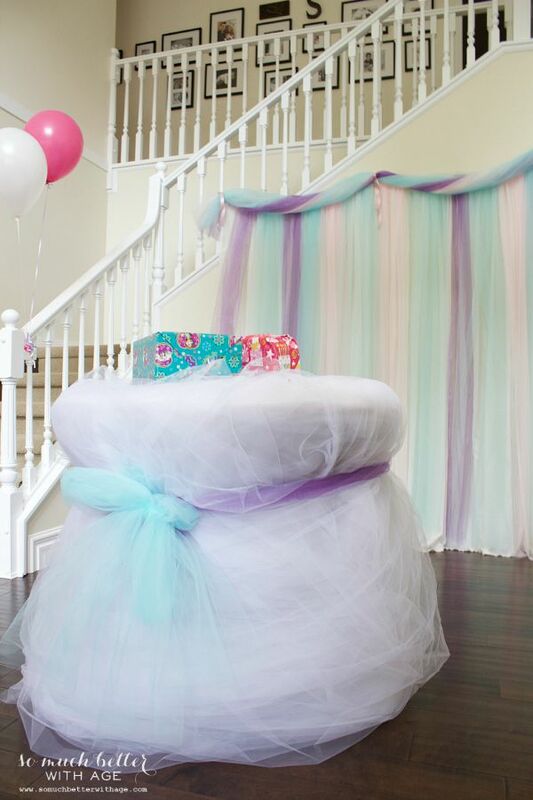 To make the snowball table, I wrapped a bolt of tulle around (and around and around…) the table. 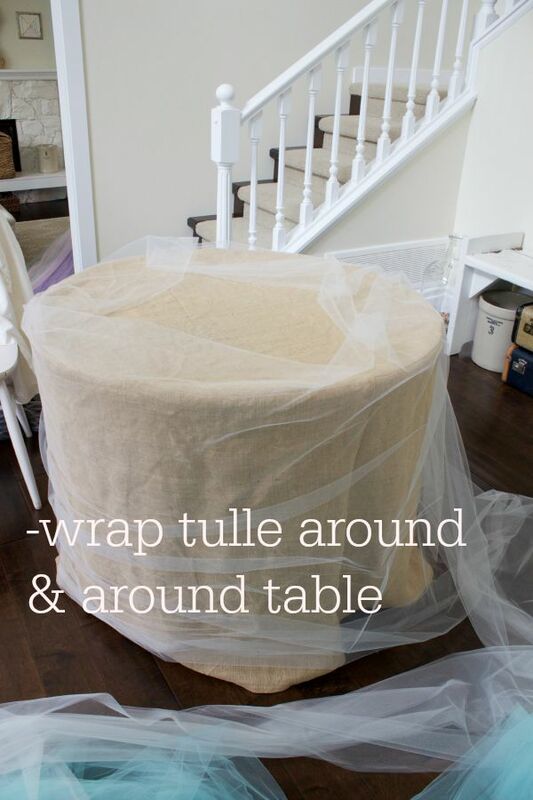 I kept the burlap tablecloth on so the tulle stuck to it perfectly. 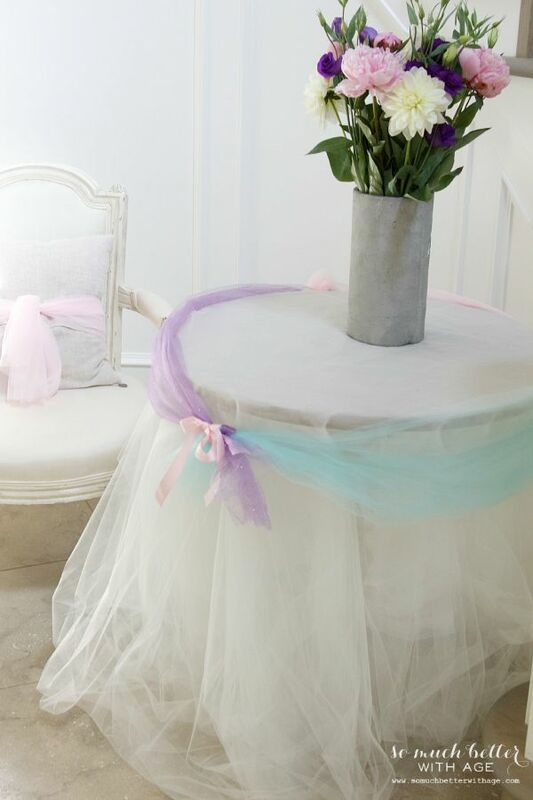 I then tied sections of coloured tulle together to wrap a big bow around it to finish the look. 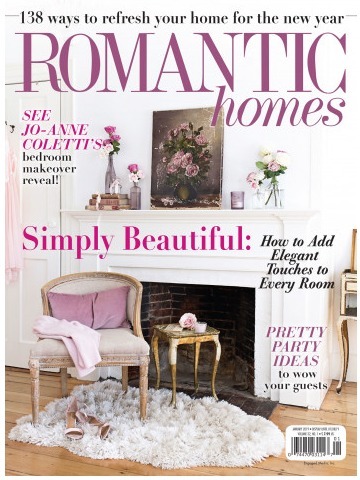 To achieve a more elegant look, I cut sections to decorate my bestie’s foyer table. 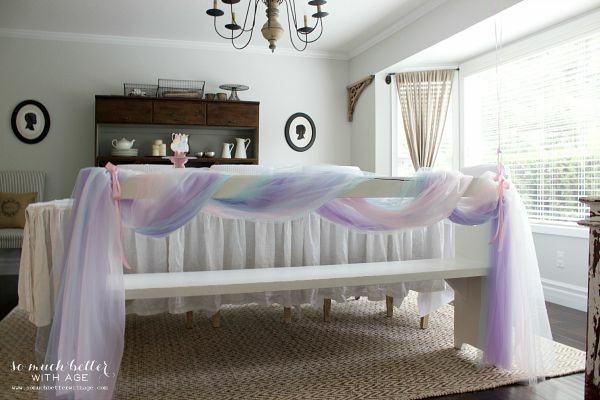 I cut up a bolt of tulle in sections so that it covered the table from one side of the table to the floor to the other end to the floor. Keep repeating draping over sections like a starburst pattern. 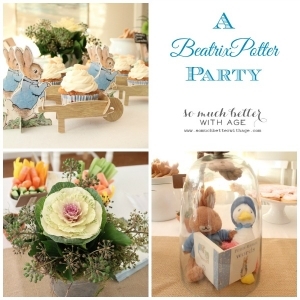 This decor is really simple to achieve yet makes elegant and beautiful decor for a Frozen party. 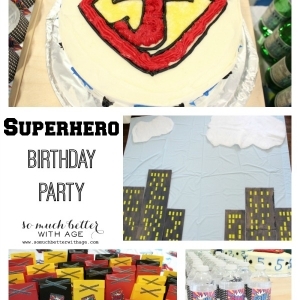 And so adorable for a little girl’s birthday party! 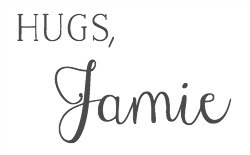 Looks beautiful Jamie. Thank you for the idea’s and instructions.